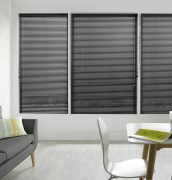 Aluminium venetian blinds are diversely functional giving you the ultimate light and privacy control. 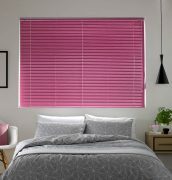 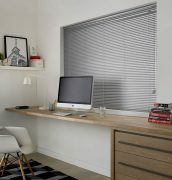 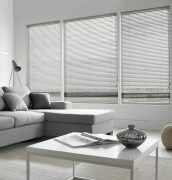 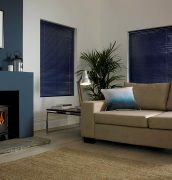 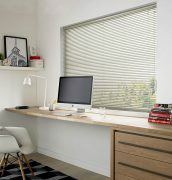 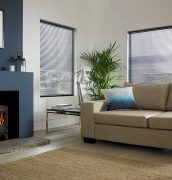 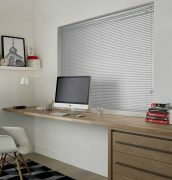 Whether you are choosing blinds for your home or office venetian blinds are an option for all. Available in a range of slat sizes 15, 25, 35 & 50mm. 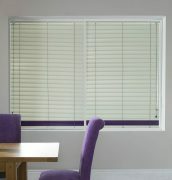 There are a wide choice of colours available, from metallic and pearlised effects there is no end of choice. You also have the option to personalize your blind with decorative ladder tape. 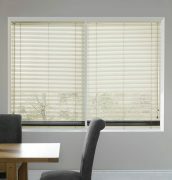 All this making venetian blinds a bespoke option for your home. 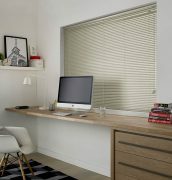 Ease of cleaning makes them a practical option for bathrooms and kitchens, or just to add the minimal look to a modern and contemporary home. Being made of lightweight aluminum they are often a perfect choice for larger windows where other venetian blinds may not be practical. 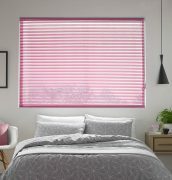 As with all of our blinds you have the option to include our child safety system making aluminum venetian blinds the perfect choice for the family home.